Cupertino-based technology giant Apple has updated the 21.5-inch and 27-inch models of its iMac desktops with new processors and graphics cards. The update is promised to get a ‘2x performance boost’ to the devices. 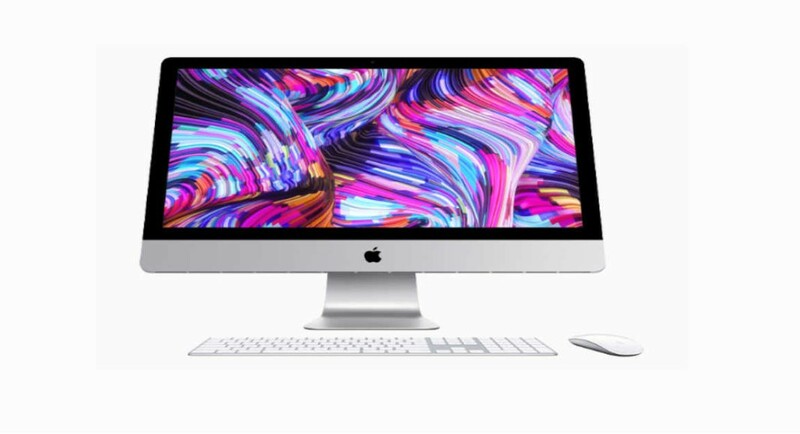 The 21.5-inch model of iMac is now available with an 8th Gen quad-core i3 or six-core i5 processor coupled with a Radeon Pro 555X GPU or a Radeon Pro 560X. However, if you are one among the customers who want more power from their device, you can get a custom model that comes with up to six-core i7 processor, houses 32GB of RAM, and has AMD’s Radeon Pro Vega 20 GPU onboard. The specifications are similar to what Apple is offering on its refreshed Mac Mini. But the difference is that the iMac comes with an in-built 4K display. Coming to the 27-inch model of the iMac, it comes with Intel’s six core i5 processor. While the two lower configurations come with an 8th Gen processor, the highest one comes with a 9th generation one and costs $2,299. We should add here that Apple us also offering upgrades to its Intel’s latest 9th Gen, eight-core i9 processors. coming to graphics on the 27-inch iMac model, the prebuilt ones will come with Radeon Pro 570X, 575X, and 580X GPUs and a custom option with AMD’s Radeon Pro Vega 48 GPU, that comes with 8GB of memory, can be bought for a higher configuration. All the 27-inch models of the iMac come with 8GB of RAM and Apple’s fusion drive by default. You can get up to 64GB of memory and faster storage of up to 3TB fusion drive or 1TB of SSD if you are willing to pay more. We should mention that prior to this, Apple updated its iMac model last two years back at WWDC 2017, where Intel’s 7th Gen chips were also rolled out. Another thing worth adding here is that Intel has already released its full lineup of 9th generation chips and Apple is sticking to its 8th generation processors for the prebuilt options. While the latest chips are available in iMacs, but primarily in the custom options. The only preconfigured option to come with the latest chipset is also the priciest one in the 27-inch lineup. We have to admit that this is slightly disappointing as even though Apple products are extremely costly, the company is still not offering the latest processors. It is with noticing that today’s updates are only meant for standard iMac models and the high-end iMac Pro is not getting an upgrade today. Coming to the pricing, while the price of 21.5-inch iMac starts at $1,299, the 27-inch model cost starts at $1,799.